I knew I should have been more engaged learning about social media trends and understanding why people relate better to Snapchat vs. Insta Stories, etc. But here I was just wondering if and when Maxi had a dirty diaper that afternoon. 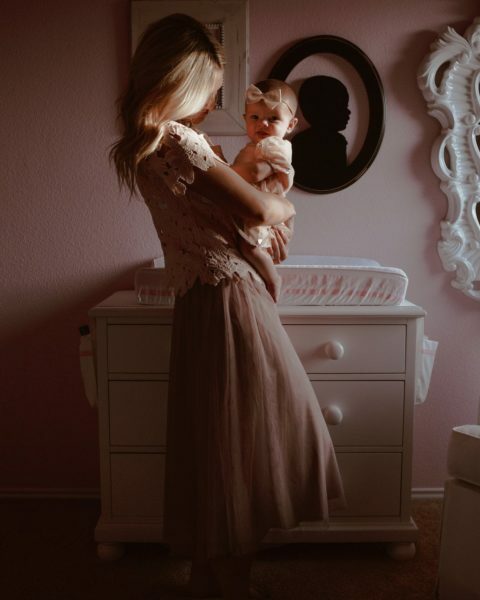 This nervousness associated as a first-time mom can be all consuming and the mom guilt can seep into every aspect of your life. Before I gave birth I associated mom guilt with snapping at a toddler. I thought, “When Maxi is 2.5 we will have a trying day and I’ll snap at her and cry and feel like a horrible mom.” I didn’t understand that mom guilt wasn’t just privy to my relationship with her. Mom guilt is centered all around my feelings and actions to just about everything in life! When I’m working I feel guilty that I should be doing laundry or something related to my life as a mom. When I’m doing laundry I feel guilty I’m not working. If I get ready for the day I feel guilty I took that time when I could have been writing thank you notes for her baby dedication gifts. If I don’t get ready for the day I feel guilty that my husband has to come home to me in nutella-stained sweat pants. *Sidenote, he never cares- but it’s the mom guilt that makes ME care. * Then I feel guilty that I feel guilty because there are moms out there with 5 kids being rockstars and I’m filled with guilt over 1 mini me! And I was so fortunate this weekend because I GOT to bring my child to a work event this weekend and leave her in a hotel room with my mom and I fully understand most moms don’t have that opportunity with work. Yet here I was crying before each meeting/event when I had to leave her for a few hours feeling guilty. I can’t tell you how many times my mom had to hug me and say, “You’re the best mom because you worry about being a good mom. You’re working for her, so just go to your meeting. She is taking a nap, it’s alright!” I was worried I’d lose milk supply not being around her or she would wonder, “Where is my mom?” I know it sounds so silly when I type it out, but the stress can eat away at you. A girlfriend sent me this quote by Jen Hatmaker while I was at the conference and it made a world of difference! 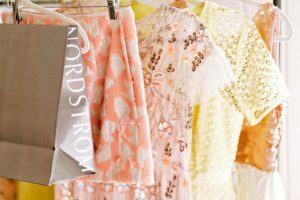 So today, I thought I’d share something a little different on the blog. I want to talk about stress and unrealistic expectations, because mom guilt can easily lead to both of those things! It can feel impossible to live a balanced life when guilt and stress eat away at you. And it isn’t just moms that deal with those two aspects of life! With working and staying at home with her I’ve tried to incorporate 5 ways to help me de-stress and make time for myself. I find that when I do these little things throughout the day it adds up to me feeling like a much better wife, mom, professional, daughter, sister and woman. Like Jen said in that quote, all of our roles won’t receive the same amount of energy so we can’t have that expectation. I think that was the greatest thing I struggled with when I first becomes a mom. I just assumed I was supposed to be the perfect wife, host with guests, daughter AND friend [don’t even get me started, I feel SO bad that I haven’t had lunch with some girlfriends]. But I can’t be! I’m caring for a little human 24/7 and I won’t be perfect at that role, nor will I be perfect at my other roles. One way I re-evaluate and set expectations is by really communicating with my husband. Before Maxi, I just took on all the roles in the house because I enjoyed doing it. I’m a neat freak, so give me a pile of laundry and a few episodes on my DVR and I’m in heaven. But when I’m nursing all day or Maxi has been fussy and I have an inbox of 350 unread e-mails, laundry is the last thing on my mind. Paul and I both take turns caring for her so we can get things done and we both have understood that cooking is just on the back burner right now. I try to make some Whole 30 crockpot meals here or there, but more often than not I run to Whole Foods and pick up dinner. It saves my sanity and helps me de-stress. One expectation we have is that Paul does the bedtime routine. He is at work during the day so I want them to have that bonding time. He gives her a bath, puts her in her pajamas, reads to her and then I’ll nurse her before she goes to sleep. While it’s only a 30-minute routine at most, I get SO much done around the house in those 30 minutes. Accepting I can’t do every little task at home and asking my husband for help has been the biggest stress reliever. And I know in different seasons throughout my life I’ll need help in other areas and just have to re-evaluate those expectations of myself. I read on a mom blog how this one mom gets up at 4 a.m. every day so she can have her selfish time. She can drink her coffee while it is warm then just sit in some silence before she works and gets her kids up. Before baby I thought, “4 a.m.?! Is she ill all the time? !” Now I totally get it! I get up at 5 each day because I’m able to work before Maxi gets up [I work best as an early bird!] but also because I get 15 selfish minutes a day. 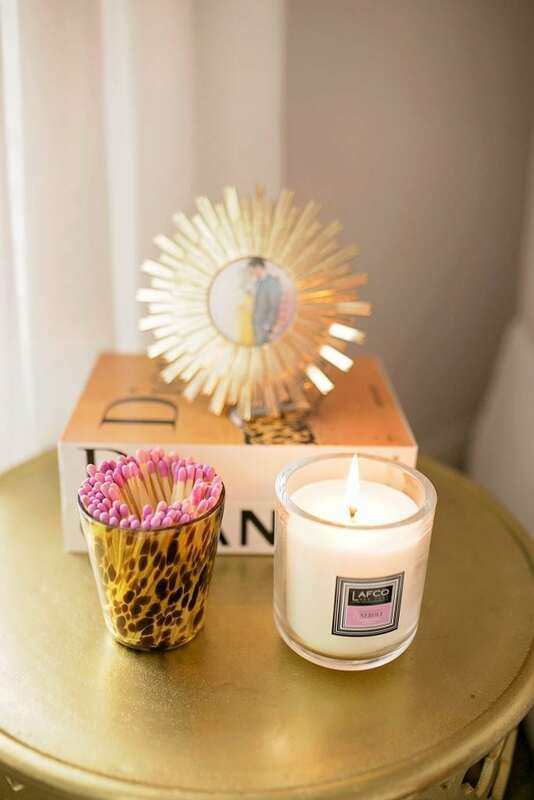 I drink my coffee, I burn a favorite candle [LAFCO Watermint & Neroli], I pump, I browse Pinterest, I online shop and I just don’t really think about much! haha. It’s my “me time” and while my husband doesn’t understand why I do it, it’s just something I do because it helps me feel more calm throughout the day. Even if I was up all night feeding her if she is cluster feeding, I still crave that time! So maybe you need 15 extra minutes of sleep or 15 minutes to do your makeup or 15 minutes for a hot shower. Whatever that is, I encourage you to find those 15 minutes a day and don’t feel guilty! By getting up earlier, I’m able to get ready for the day and just feel more like myself, which allows me to be a much better mama to Maxi! So find your 15 minutes and enjoy them. My mom gave me this tip before I had Maxi and it’s something I am working hard to incorporate! She told me to prioritize 1 thing I enjoyed before Maxi and try to do it when I could. For some moms that is a workout class and for others that is reading. She told me it would help me feel more like myself while I was adjusting to my new schedule. Before I had a baby, I really enjoyed workout classes. I love cycling at Zyn22 and I love trying new classes with girlfriends. Now since I have had Maxi, my schedule 100% revolves around her and not a workout studio’s. It can be a little tricky [and I’ve only made it a few times!] but I do try to incorporate a workout class when I can. She’ll nap from 9 to 11, so I’ll try to sign up for a cycling class at that time on a Saturday while Paul is home to watch her. I don’t miss out on my time with her and I get to focus on being healthy for not only myself but my daughter as well. Hear me out before you laugh and think, “Uhhh what do storage solutions have to do with being a mom? !” If there is one thing that de-stresses a mama, it is a clean house! Maxi is starting to really enjoy her toys that play music and light up. So as you can imagine, I’m running to Target and ordering every Fisher-Price thing I can find on Amazon for her. I love seeing how excited she is when her piano lights plays music! But with all the baby items comes a lot of clutter. The quickest way for me to clean my home is to conceal the clutter with storage solutions. This basket from Pottery Barn, this basket in her nursery and this purse organizer have been such a help with a baby! The purse organizer keeps my items separate from her’s in a tote and the baskets help hide her blankets, toys and burp rags whenever I need to put them up quickly. Storage solutions also make it SO easy for your husband to help clean up if he isn’t exactly sure where to put items. Paul just knows to throw her toys in the basket and he can help me pick up in just a few minutes. Many of you know how passionate I am about my TULA skincare products. I’m a beauty-product junkie and LOVE to test and try every brand, but TULA always remains in my medicine cabinet for my every-day routine. I’ve talked about the line for years. With Mother’s Day approaching, I got to partner with them and create a gift set for mothers, daughters and all women in general because who doesn’t want skin that looks well rested?! And what mom doesn’t want to receive gifts to pamper herself?! But on a more personal note, I want to share why I personally like to invest in skin care as a mom. Many of you know I have discoid lupus [which is why I started my blog – read more here]. I was diagnosed when I was 12 and went into remission at 18 [praise God!]. I really only deal with flare ups here or there. About three days after I gave birth, I started to have symptoms. I only told my parents, Paul and my friend, Trenny, so she could pray with me. I went to my doctor and he told me with any form of lupus that 1/3 of people get worse after pregnancy, 1/3 of people get better and 1/3 of people see no change. The good news is that mine isn’t fully active, it’s just acting up. My body is so broken down from pregnancy that it can’t fight the symptoms as well right now. One symptom is my skin starts to peel, which is a really pretty way to word it but I don’t want to go into too much detail. My doctor told me he would keep me off my medicine [I can’t breastfeed with it] if I could handle the other symptoms, but I had to get my skin under control. He didn’t want my skin to peel too much for infection purposes, otherwise I would need to get back on my medicine. I really wanted to try to keep breastfeeding as I truly enjoy it right now with Maxi and so I tried to come up with ways to fix the peeling. I slathered on coconut oil, I used essential oils, I did it all. 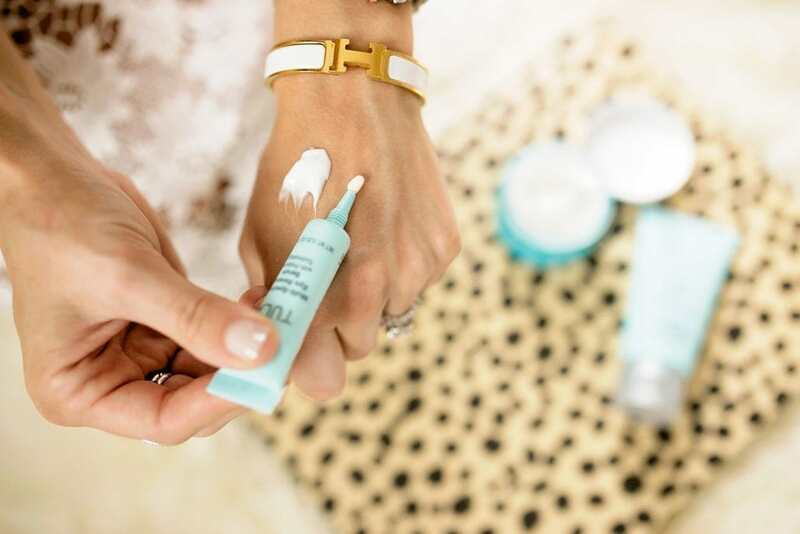 Then while I was getting ready for bed one night I thought, “Why don’t I just use my TULA moisturizer on the peeling spots?” I even used it on skin that wasn’t just on my face. I left little dollops and put a bandaid over it and thought, “Well, I’ll just see what happens!” My doctor cleared me to use it while breastfeeding and said it was fine to try that. Within a week those spots had healed and I didn’t have to get on my medicine! So for me, taking care of my skin is something that helps me feed her. But I also encourage any mama to find a skin routine they love as it helps you feel more confident when your skin is glowing and balanced. And who doesn’t want a little extra confidence when you’re running low on sleep?! I partnered with TULA and LAFCO to create a Mother’s Day Gift Set to gift a special lady [or yourself!]. I thought, “How do women feel de-stressed? By being balanced in life!” We created The Beautifully Balanced Gift Set for y’all! I thought it was fitting because TULA balances your skin [it literally means balanced and is made from probiotics so whether you’re acne-prone or dry you’re covered] and I think every mother tries to achieve balance in order to be less stressed. This is the moisturizer I use every day and is the spot treatment I used to help with my Lupus. It balances any issue you have, whether you are blemish prone or have dry skin! Y’all know I live off this stuff! It’s the number 1 beauty product I can’t live without! The most popular e-mail I receive from mamas is all about eye creams. You want to hide your circles and minimize your bags – and I hear ya! My eyes get so puffy when I am suffering from lack of sleep. I told TULA about this, and they have included the eye renewal serum for you in this gift set. This product is so cooling as it goes on and makes you look really awake even if you aren’t. 😉 If you aren’t a mama, I still recommend this product so much because I know ALL women are short on sleep from college, grad school, work or the business of life in general! I’m a huge LAFCO girl and am always sharing my favorite scents over on Snapchat. 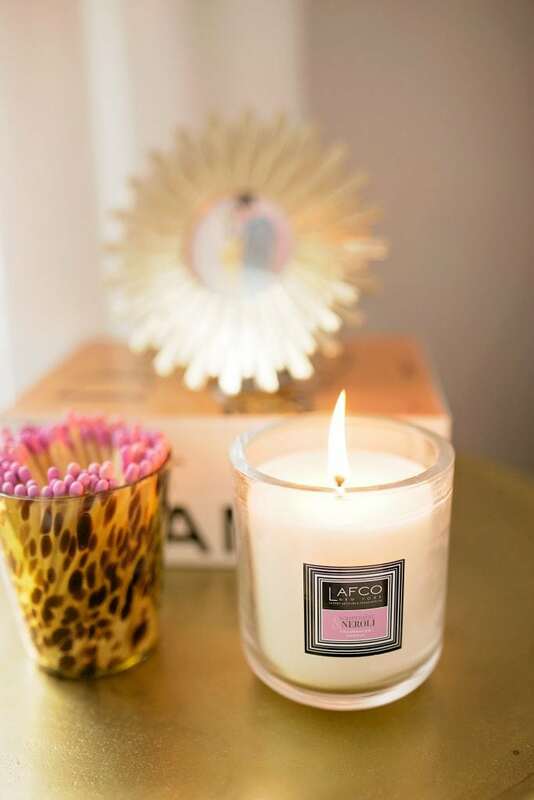 I keep the LAFCO Mint & Neroli candle in my office and I burn it during those 15 selfish minutes a day. 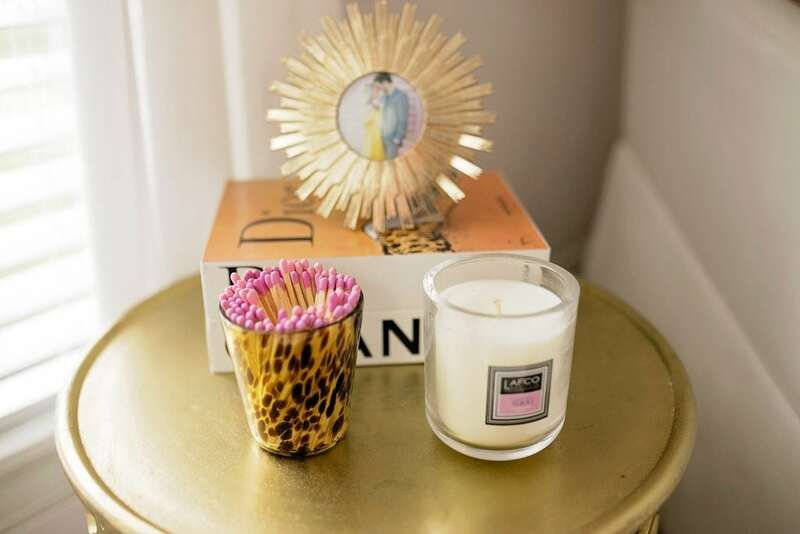 I think I love candles so much because it tricks me into thinking my home is far more clean than it actually is! haha! 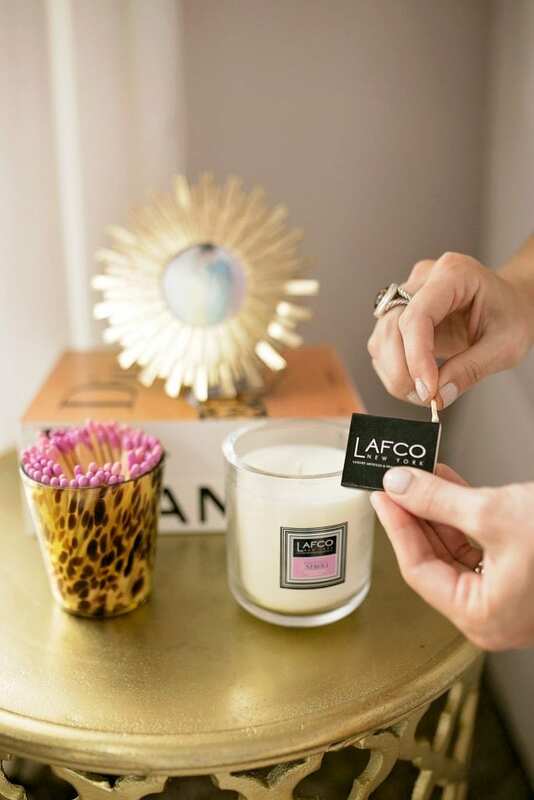 LAFCO is so generous to include their product in this gift set and I think it makes it such a well-roudned gift for any lady in your life this Mother’s Day. All in all this is a $147 value, but they are selling it for $86! I also have a discount code for all TULA products [including this!] for COF readers with code KATEYKIT20 at checkout. So if you need to stock up on your exfoliating treatment [it’s what I use to get rid of blemishes, see how here] or your eye cream you can still use the code with it! That code makes this gift set less than $70 at checkout! And that’s when I know, I’m already balanced. I may not juggle each role perfectly and I may have to give myself a lot of grace as I accept that. But balance doesn’t come from a cleared to-do list or a cleared inbox. If motherhood is teaching me something, I really believe it’s teaching me that balance is more in how you feel about yourself and those you love. And as a mother, I feel perfectly loved and I hope you do too in whatever role you have in life! So whether you’re a mom, a mom-to-be, a daughter, a friend, a wife, a boss lady or just stressed in general I hope this blog post can spark encouragement in the comments below! I’d love to hear how you de-stress in your life and what tips have helped you adjust to all the various roles in your life as you balance yourself inside. 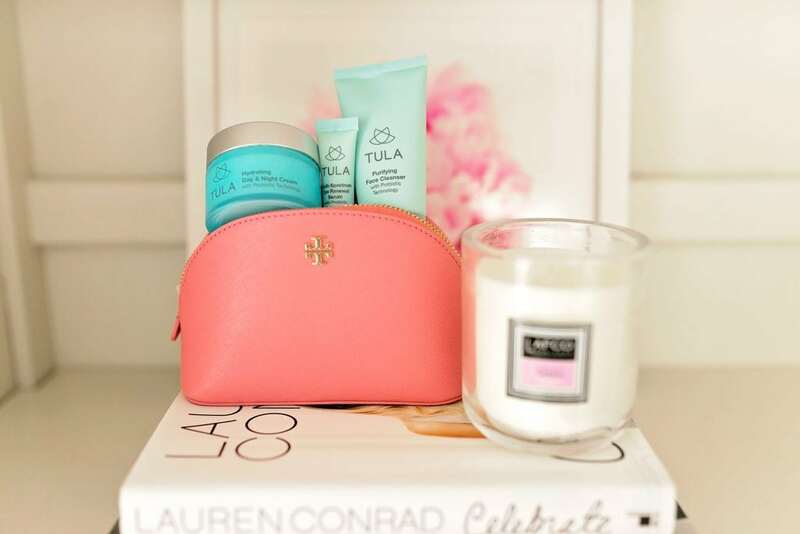 Enjoy your 15-selfish minutes, your LAFCO candle and your skin with this TULA gift set and don’t forget to use your coupon code KATEYKIT20 at checkout! Want to find out what TULA products to try? 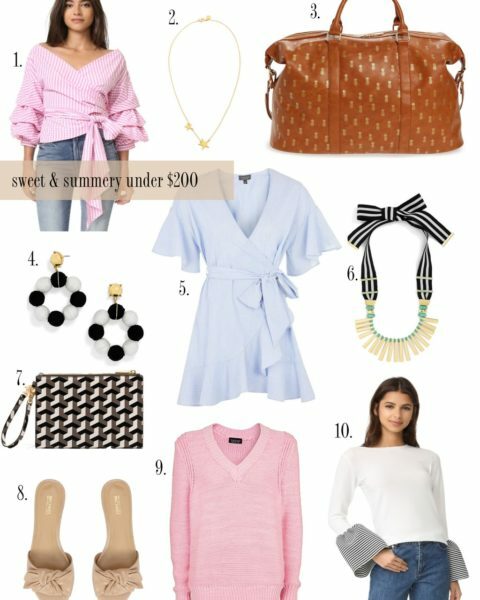 See this blog post! One question I always get from pregnant/nursing mamas is about skincare! I definitely do not want to speak for your doctor so be sure to clear all your skincare/beauty products with them at your doctor’s appointments. Mine approves me to use all the skincare products I use [and I’m always having to ask because of my Discoid Lupus] but don’t be nervous to bring by your products at your next doctor’s appointment. I’ve asked my OB and dermatologist on everything from sunscreen to self tanner. TULA has great customer service and can give you percentages on what is in their products and did so for me for my doctor to approve. I love your photos and those products! Must get myself! My selfish 15 minutes is spent reading your blog, drinking coffee, and watching the Today Show! Your sweet, genuine personality shines through your words! Thanks so much for sharing! I can’t wait until they start shipping to Canada, your rave reviews make me want to try this product line SO badly!! 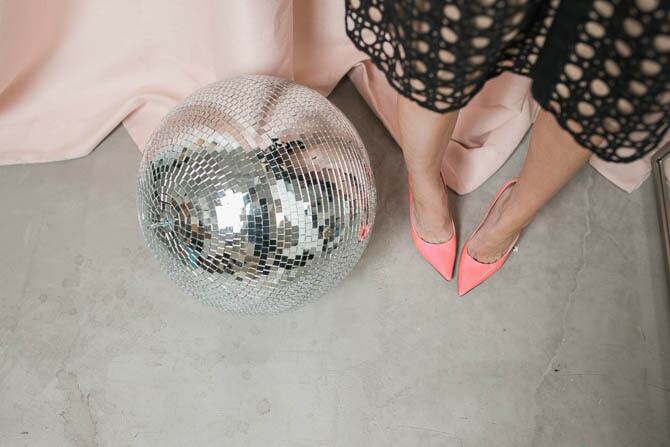 PS – these photos are SO gorgeous! I just started reading your blog posts, and I absolutely love this one. It’s a learning process and mom guilt is no joke. When you see that smiling baby you realize you are doing something right – and that is all that matters! Thank you for putting together this lovely kit! I have started using TULA after reading your blog, and love it! This kit was such a good value, especially with your code! I love your posts and look forward to reading them every morning when I get to work! Just wanted to let you know that you are an inspiration and that I strive to be more like you everyday! Thank you Katey! Katey, thank you for being such an inspiration and role model for so many! Know that this new season is being celebrated by so many that don’t know you but feel like they do. Keep up the fantastic work! You have so much to be proud of! Katey, WOO HOO!!! The fact that you’re able to recognize the need to find balance and de-stress is a huge win in and of itself! I’m a mommy of two little boys and a Mommy Empowerment Coach. It’s funny, I started my business after hitting an all time “mommy low”. I was completely overwhelmed and wasn’t doing anything for myself anymore… and we just can’t pour from an empty cup for that long! I remember the first time I ever felt “mommy guilt” and it was when my first baby was only HOURS old! The sweet nurse asked if she would like us for her to take John Riley to the nurses station for a few hours so that my husband and I could get some sleep (we were clearly exhausted lol) and instead of seeing her as offering some much needed help and relief I panicked and thought that I was ALREADY a terrible mommy for considering her offer! The point of that story is that mom guilt is just no joke! But it’s also a feeling that isn’t serving us or our babies, right? 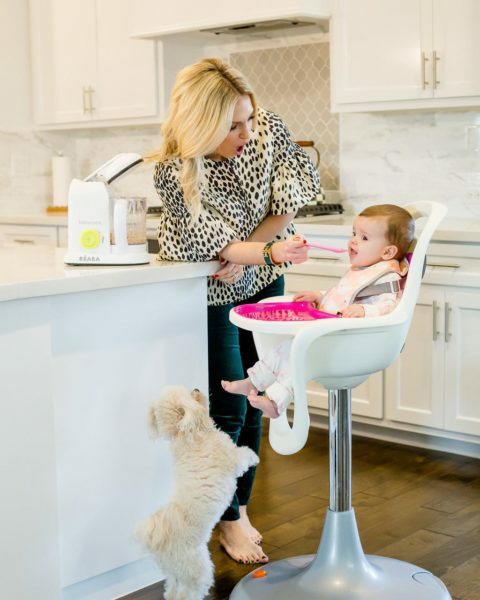 I love your blog and it’s been so fun to see you transition into the “mommy club”! Maxi is such a doll and you’re doing great! Thank you so much for creating the TULA gift set. You made my first married mother’s day so easy finding something for my mom and my mother in law!!!!! Love your blog, you are adorable! Katey, love this post! Also so excited to try out these Tula products! Have you added back any additional products now that you are not pregnant? I know every doctor may recommend something different, just wondering if you were cleared to use the serum or eye cream, etc while nursing… I’d like to try them out but I am also breastfeeding a four month old. Please let me know which Tula products you are currently using! I know this is an old post, but I just had to let you know how much TULA has changed my life! Thank you, thank you, THANK YOU for introducing me to their products! I’ve always had clear skin, but over the past two years or so, my skin has become really dry and sensitive. I’d tried almost every highly- rated and Dermatologist-recommended product line out there (most recently Murad), but everything seemed to make the dryness worse. I got married back in February, and in the months leading up to the wedding I was starting to get really nervous about how my skin was going to look on my big day. I think I learned about TULA on your blog back in November, and I ordered the Discovery Kit. It fixed my skin issues almost IMMEDIATELY. I quickly ordered full-sized products, and haven’t looked back since. I’m happy to report my skin was glowing on my wedding day! It’s honestly never looked better. I’m so incredibly grateful for TULA and to you for introducing me to them!! !